Balaton is the largest lake in Hungary. It stretches for almost 80 km! No wonder, it has a great amount of fish in it. You can catch the biggest specimen of your life! However, before you take your fishing rod, check out the rules of fishing. You will need a license and observance of many conditions. 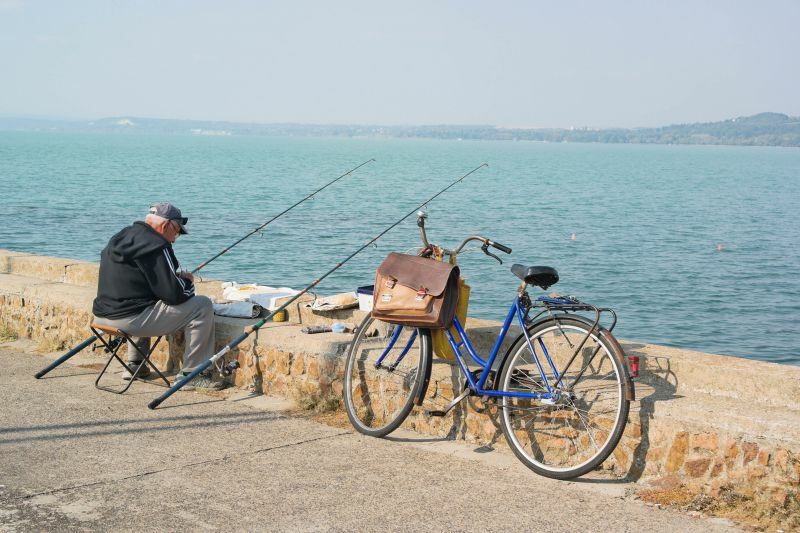 When we arrived at Balaton, we were surprised to see so many fishermen here. 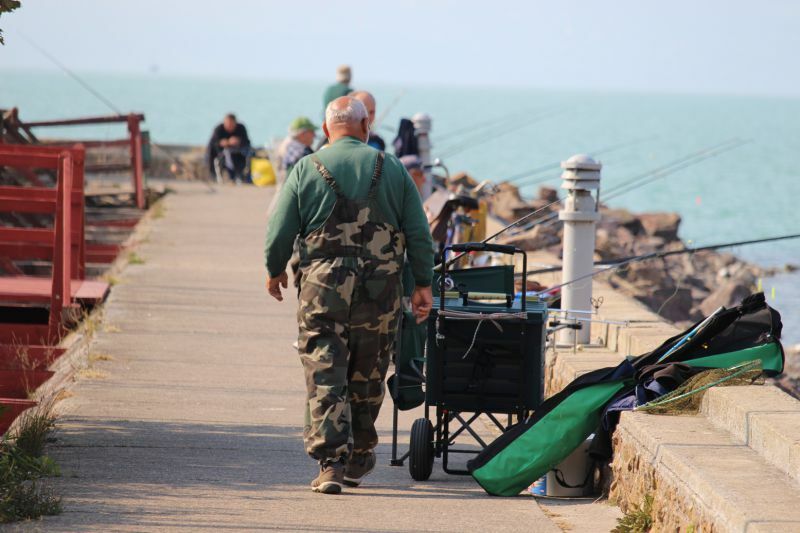 At each beach or promenade, you will undoubtedly meet people with fishing rods. We watched a bit, and the truth is the fish bite! We saw ourselves how fishermen more than once pulled out the fish about a cubit in length. They even allowed us to look at their catch. 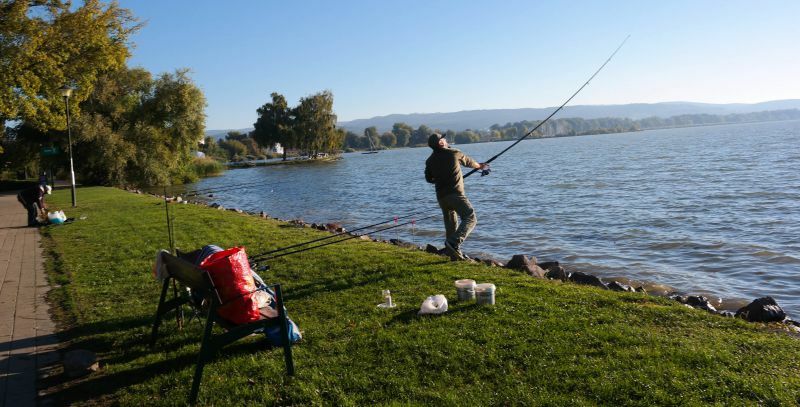 You can find any fish in Lake Balaton! Out of 76 species that exist in Hungary, about 50 of them can be found in this lake. The most notable and favourite species are carp, perch, pike, catfish, bream, eel, grass carp, silver carp. You need permission and a fishing ticket. Both can be bought in stores that sell fishing tackle. Right there, you can get a ticket if you have all the necessary documents with you. The most important document is a fisherman’s certificate (or membership card). It is an indication that you know the rules of fishing. It doesn't matter what country issued it to you. So if you want to go fishing, grab it with you. Fishery diary. All the fish that you caught must be recorded if it is classified as listed. In your fishery diary, you need to record how many you caught and of what size. Fishing ticket. It can have a different duration. You can buy it for 1, 2 or 10 days. Please note that you can buy a fishing ticket only if you have a membership card or the certificate of the fisherman of your country. Fishing from a boat: 1 day – 4,000 forints, 72 hours – 7,500 forints, 10 days – 18,000 forints. 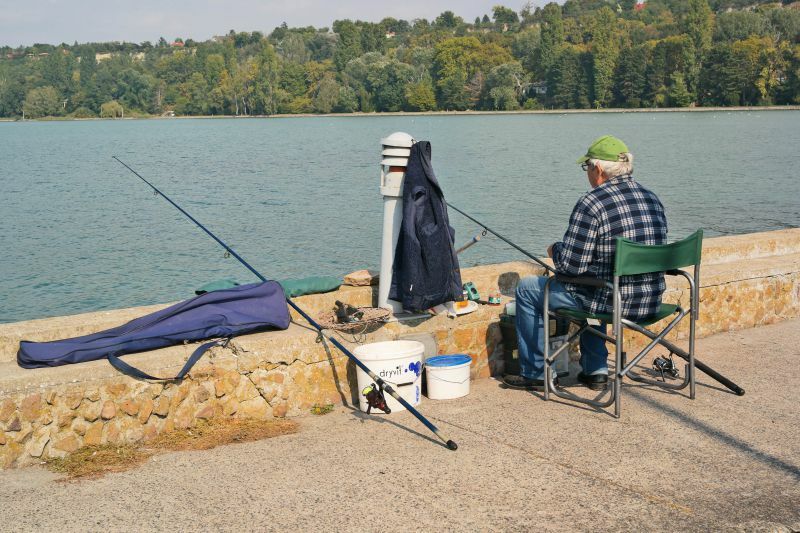 Fishing from the bank: 1 day – 2,500 forints, 72 hours – 4,500 forints, 10 days – 37,000 forints. 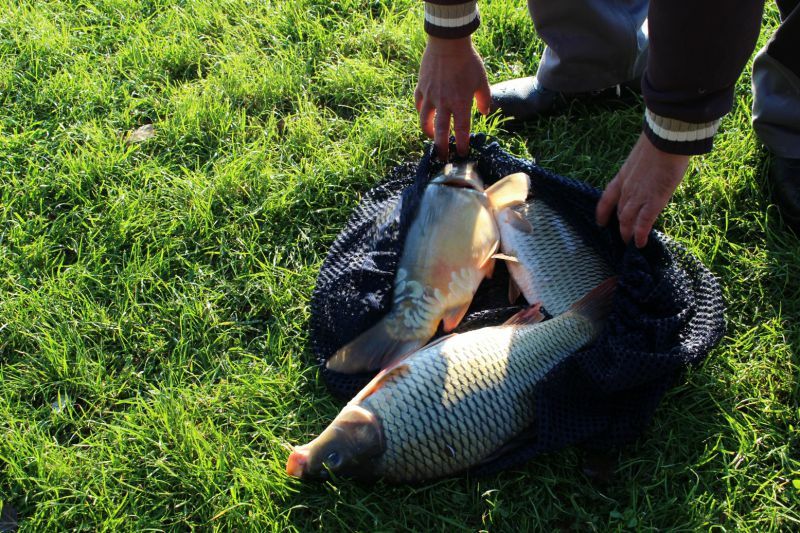 Fishing with boilies (for carp): 1 week – 20,000 forints, 3 days – 12,000 forints. Fishing tickets for a tourist: 10 days – 6,000 forints, 3 days – 4,000 forints, 1 day – 2,000 forints. License for fishing from the bank. You can fish at a distance of no more than 1,500 m from the bank. For fishing, you can use a boat without a registration number, if you do not violate this distance. The fishing with a split ring is prohibited. General ticket for fishing. 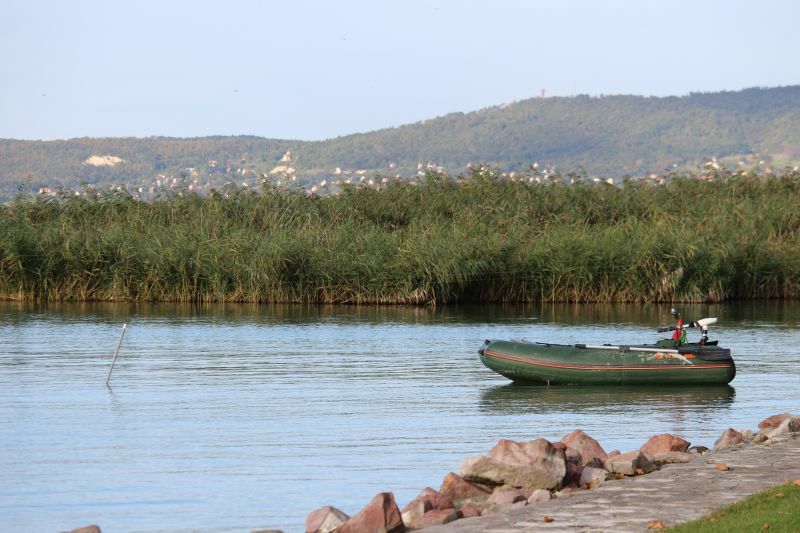 It gives you the opportunity to fish on a pleasure boat anywhere in the Lake Balaton. Here, you can fish with a split ring. 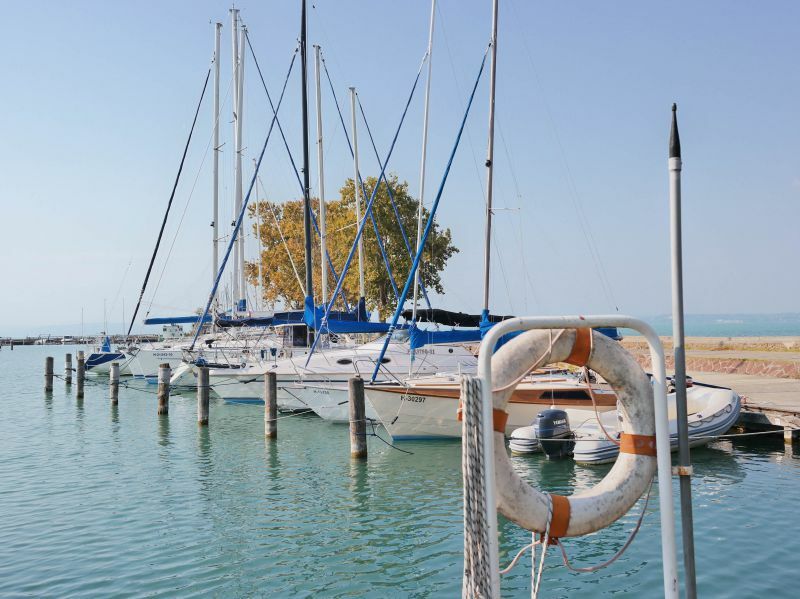 It is prohibited to fish from the bank in the area from the eastern part of Örvényes beach to the Tihanyi Yacht Club (except for MOHOSZ pier). There are a number of restrictions in the area Zalavár and Zalaszabar, as well as in the area of the bridge near Kányavári-sziget. 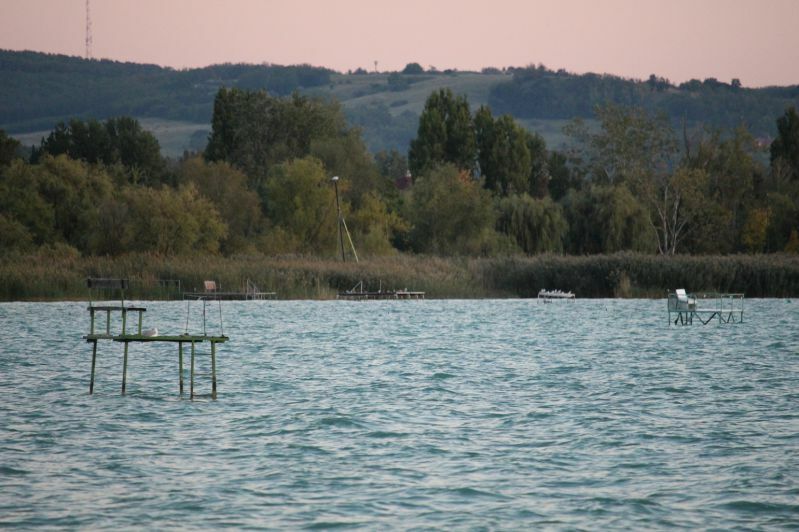 It is prohibited to fish from a boat at Kis-Balaton. Other prohibitions there are winter fishing, and fish and birds feeding. Brown trout. The catch is prohibited from October 1 to March 31. The maximum size is 22 cm. Pike. The catch is prohibited from February 1 to March 31. The maximum size is 45 cm. Asp. The catch is prohibited from March 1 to April 27. The maximum size is 45 cm. Zander. The catch is prohibited from March 1 to April 27. The maximum size is 35 cm. Perch. The catch is prohibited from March 1 to April 27. The maximum size is 15 cm. Volga zander. The catch is prohibited from March 1 to June 30. The maximum size is 25 cm. Carp. The catch is prohibited from May 2 to May 31. The maximum size is 70 cm. Common barbel. The catch is prohibited from April 16 to May 31. The maximum size is 40 cm. Catfish. The catch is prohibited from May 2 to June 15. The maximum size is 60 cm. Ide, nase, vimba. The catch is prohibited from April 16 to May 31. The maximum size is 20 cm. Burbot. The catch is generally prohibited. Sabre carp. The catch is prohibited from April 16 to May 31. The maximum size is 20 cm. Tench. The catch is prohibited from May 2 to June 15. The maximum size is 25 cm. Just as same as everywhere in Hungary, Balaton has its certain rules. For example, there is no ban on fishing during spawning. You can fish all year round. However, each species of valuable fish has its spawning period. If you catch a fish in a prohibited period, you just have to it let go. Unlisted fish – bream, roach, rudd, crucian carp, African catfish, bleak. Per day, you can catch no more than 7 kg of unlisted fish or 2 trophy fishes of any weight. The information about your catch must be recorded in the diary. If you do not do this, but the fishing control catches you, they will issue you a fine of minimum $80. It is permitted to catch fish using no more than 2 feeders or fishing rods at the same time even if you brought 10. If you fish from a boat, then you must have a headlamp, first aid kit and life jacket. There are restrictions on fishing with live bait. You must have a keepnet if you catch fish with a feeder from the bank. Remember that if you fish in a littered place, you can be fined for this garbage. According to the rules, you must remove it before you begin fishing. Anglers note that there is a lot of carp, zander and bream in the river. Tackle, bait, feeders, boilies and anything else you need can be bought in the fishing stores. It is a very popular topic on Balaton. There are fishing tours for a day or two and even a week. The organizers are responsible for the vessel and license. Their boats are equipped with sonars to make it easier to find fish. You are advised to sail further into the lake to enjoy the fishiest places. Such tours are organised for both the whole team and for one or two people. If you are bored of fishing yourself, you can join like-minded people. Weekly fishing tours can be combined with other activities. For example, you go fishing a bit, then go ashore and ride a bicycle. Or maybe stop to taste some Hungarian wine in the cellars. Upon returning to the “meeting point,” the boat will be already waiting for you. It is worth noting that the weather on the lake is quite unpredictable. It can be stormy sometimes, and even a prepaid tour can be cancelled then. Cost: a one-day tour is from 100 euros per person, a big tour for 6 days – 699 euros per person (excluding license and tourist tax). This tour includes accommodation, half board, boat rental, insurance, fuel and guide services. 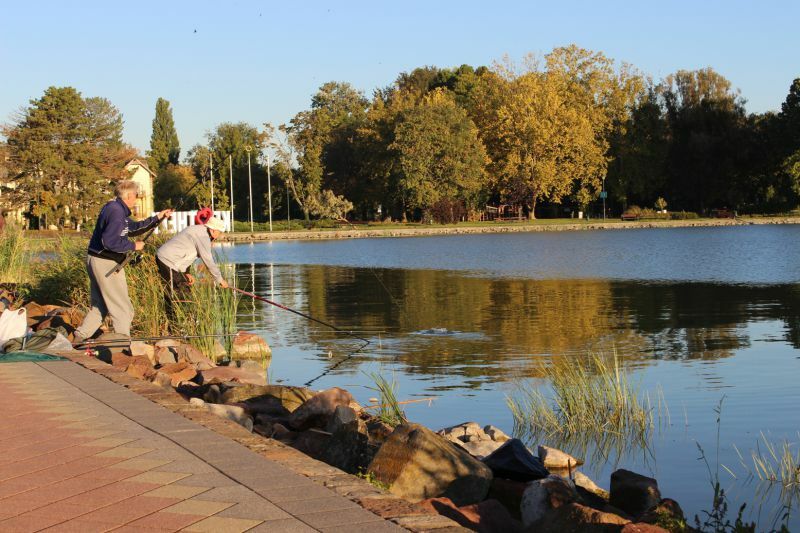 Hungary is considered an excellent place for carp anglers. Balaton sells such tours separately. They offer to take you to an equipped place where you can safely fish at a distance of 300-400 m from the shore. They promise that you can catch 10-20 kg of fish per day. You are taken to the place where the fish is already pre-fed. There, you put tents to install yourself. There are showers and toilets nearby. Additionally, you can ask for a fridge, charger, and order lunch and dinner. Tour cost: 140 euros per person. 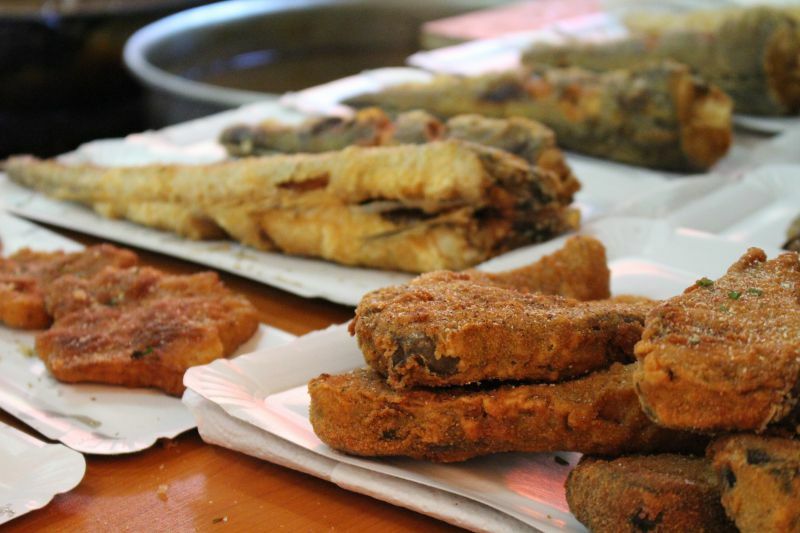 Of course, if you catch a couple of fish, you will want to taste them. But where can you cook it? If you stay in apartments, there is no issue. They all include kitchens with electric stoves. You can cook fish soup, fry fish or cook it in another way. However, do not expect to find the oven in a rented apartment. 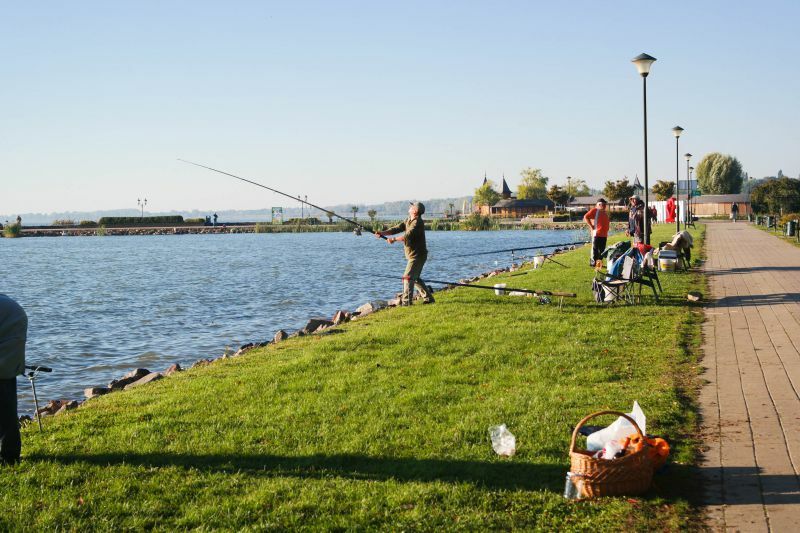 By the way, there are many restaurants at Balaton where you can try various fish, from the famous fish soup to fried fish on the fire. If you stay at a hotel, you can try to ask the cuisine cooks to cook your catch. Some hotels will do it but not all. As an option, you can cook the fish on the grill in the equipped places. Or throw it back into the river. Maybe, that's a goldfish, and it will bring you good luck. Those who want to catch the biggest fish in their lives are advised to try the south coast. It is rich in predators and shellfish. Balatonmáriafürdő. The pier and coastline of Csicsergő are the popular fishing spots. Especially in spring when it starts raining, you can have plenty of fish. You can catch carp, bream, catfish, crucian carp, and grass carp. Balatonkeresztúr. This eastern part of the Canal Zonе is a well-known and popular place for fishing. Balatonberény. Here are the best places for catching catfish or zander. However, you can only fish from a boat. Kányavári Island is a place for carp fishing. Fenékpuszta, the southern coast of the Heviz canal, is a place for catching a crucian carp. Balatonszárszó. The best places for fishing are the beach and reeds. The fish is easy to catch in April, May or rainy weather. Balatonszemes. 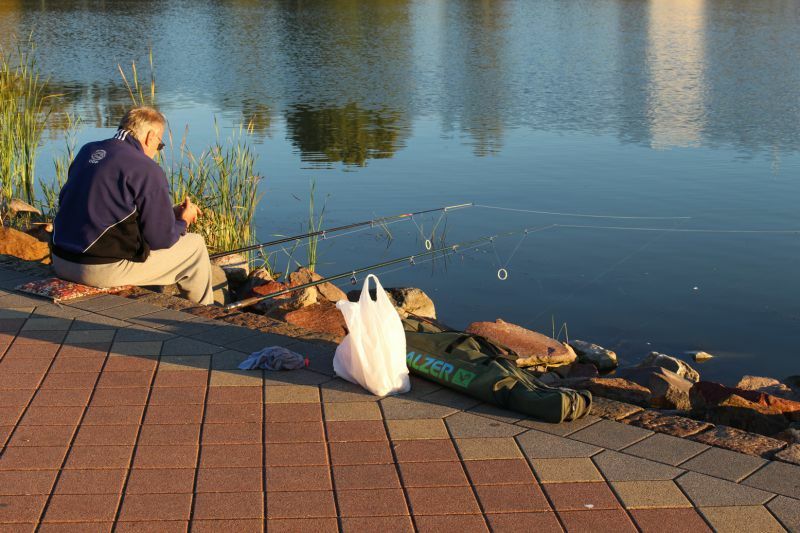 The pier is one of the best places for carp fishing, but in spring, there is also a lot of breams and eels. In summer, these fish prefer deeper water, but the storm waves bring them to shore. In the reeds, you can catch bream and carp. Balatonlelle. 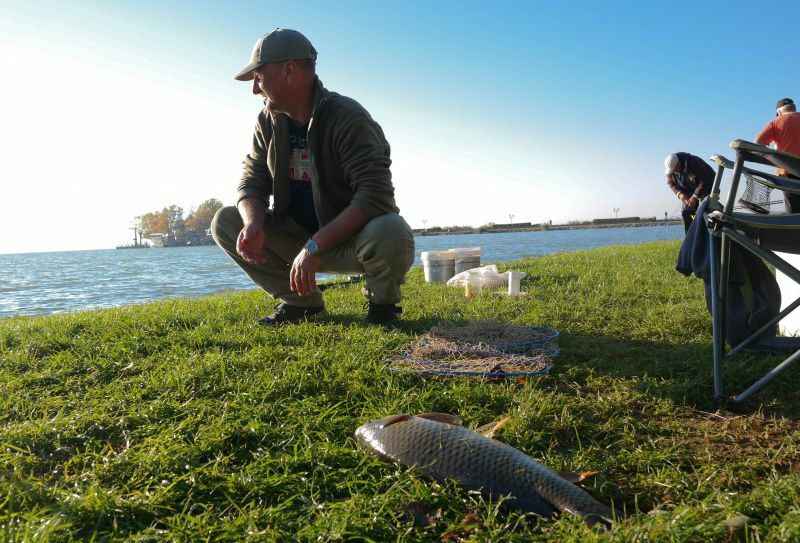 Here, you have the opportunity to catch bream and carp from a pier. Sometimes, you can catch eels. Balatonboglár. 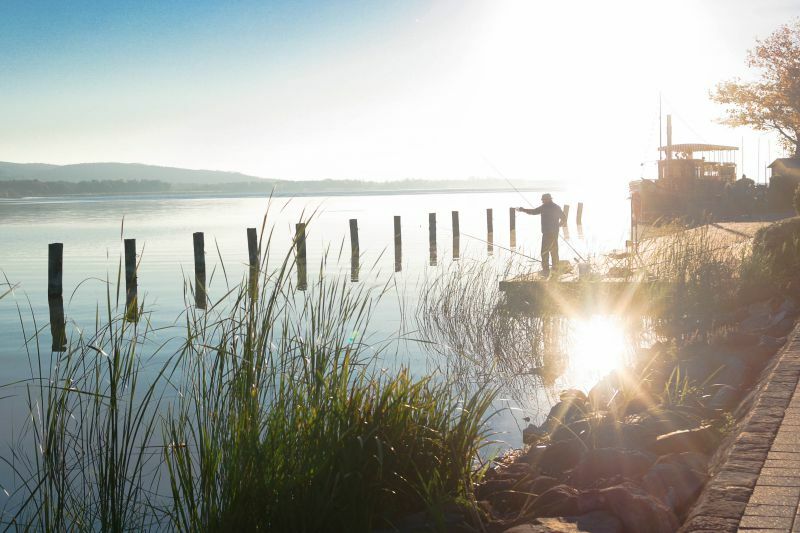 At this fish pier, you can catch fish near the reeds. 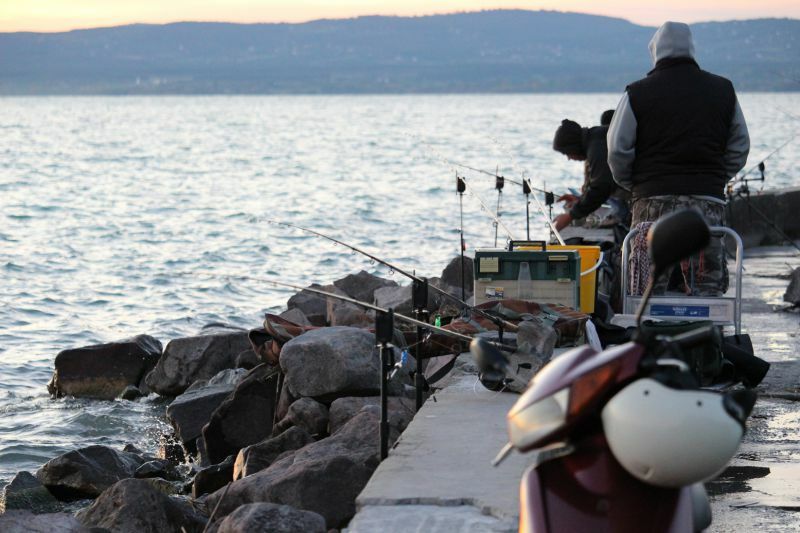 As you can see, Balaton is an excellent place for you to use your fishing rods and all other equipment. If you are an avid angler and want to catch the biggest fish in your life, ask about fishing tours immediately. If you plan to diversify your leisure time, buy a license and feel free to go to the nearest beach. Author of photo: IGotoWorld Photo Group.